Get out of that fountain! 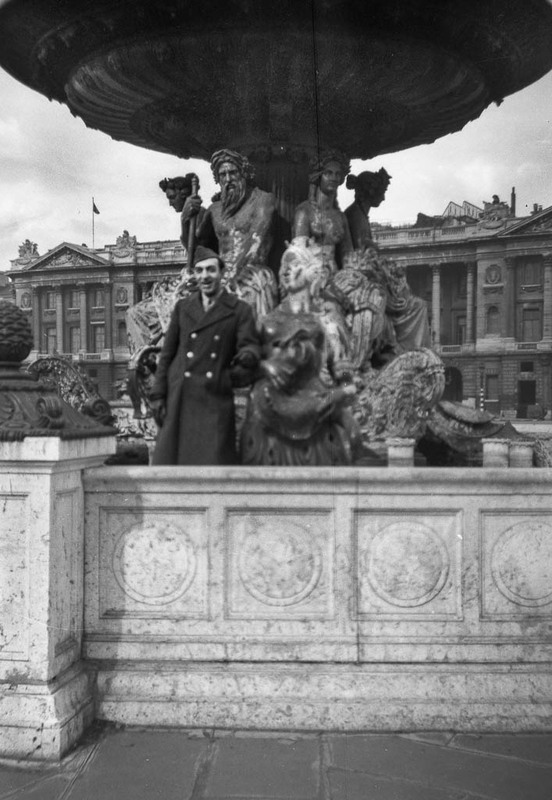 The fountain is in La Place de Concorde at the edge of the Tuileries. The month is probably December or January when the fountains are turned off. That explains the heavy coat!